On this day in history, 1916, the “Mad Monk”, Grigori Rasputin, was murdered by members of the Russian aristocracy. The exact events surrounding his death have given rise to a variety of stories, much of which are probably false. So what actually happened? First, a brief background on Rasputin: Grigori Rasputin was born a poor peasant in Siberia somewhere around the 1860s-1870s; evidence recently uncovered seems to indicate he was born on January the 10, 1869. Little is known about his childhood. The first significant thing that is known about him is that he spent a few months at the Verkhoturye Monastery when he was 18 years old. These few months had a significant impact on his later life in that, when he left the monastery, he decided to devote his life to God. He subsequently wandered around preaching and supposedly healing people, never staying at any one place for a very long time. Had he continued in this way, he likely would have been forgotten to history. However, lucky for him (or unlucky, as things turned out), the young heir to the Russian empire, Alexi Nikolaevich, suffered from hemophilia. Obviously people around this time who were hemophiliacs didn’t tend to live very long. When this was first discovered and the aid of the best medical practitioners of the day could do nothing, Alexi’s mother began seeking out spiritual men, who could perhaps come and heal her son. In 1905 Rasputin, supposedly renowned at that point as a spiritual healer, had his chance to try to heal the boy at a point when doctors said he would soon die. Despite the doctor’s dire predictions, after Rasputin prayed over the boy and changed his treatment slightly, the boy lived, whether by coincidence; the fact that Rasputin ordered that the boy stop being given the newly discovered drug Aspirin (which did the opposite of help in this case); or divine intervention. Whatever the case, Rasputin was now held in extremely high regard with the rulers of Russia. Over the next 11 or so years, his influence in Russia continued to grow, both with certain members of the aristocracy and with the peasants of Russia. So now that we have that back story, what actually happened when Rasputin was murdered? The official account given by each of the conspirators, including Prince Felix Yusupov and Grand Duke Dmitri Pavlovich, among other members of the political elite, doesn’t line up with each other, nor with the autopsy report. 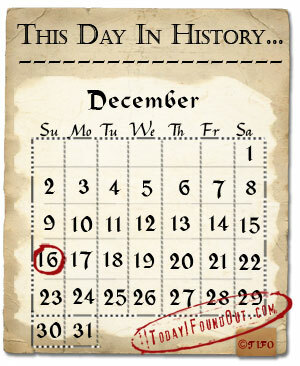 What they say is that they invited him over on the day of December 16, 1916. Before arriving, they supposedly put copious amounts of cyanide into the wine and cakes they would serve him. That’s about as far as they can all agree, in terms of what happened next. One account states that he initially declined to eat or drink, (his daughter said this was likely due to the fact that since he was stabbed in the abdomen by a prostitute and nearly died a couple years before, he avoided eating sweet or acidic foods as they caused him pain). However, despite his initial rejections, he eventually accepted and ate and drank. A different account by other of the conspirators states that he ate several cakes and drank a large amount of wine when initially offered them. In either case, to the great distress of the conspirators, he did not die, nor showed any ill effects at all. They then discussed the issue away from Rasputin as to what to do now. It was decided that they should just shoot him, so Prince Yusupov went back downstairs to the cellar and shot Rasputin. After Rasputin fell and appeared to be mortally wounded, they stated they left the cellar for a time to plan how to dispose of the body. Once again, their stories don’t match up. One account states that the Prince returned to the cellar and shook him to see if he was dead, but Rasputin was revived and leapt up and grabbed Prince Yusupov and started strangling him at which point the co-conspirators supposedly arrived on the scene and shot Rasputin three more times, including once in the forehead. However, other accounts from the conspirators stated they only returned to the cellar upon hearing a noise and they found Rasputin alive and struggling to get away. He then supposedly managed to run outside before being shot three more times. What happened after that also differs depending on which conspirator’s story you wish to believe. At this point, he was either completely dead or still alive, so they beat him repeatedly until he stopped moving. Next, they say they bound his body, wrapped him up in some carpet, and then carted him off to the Neva River which was frozen over. They broke the ice and tossed him in. Again, their stories differ; some said they weighed his body down before tossing him in, others say they simply tossed him in without weights. So those are their convoluted stories, which very suspiciously don’t match up on several key points. Incidentally, due to this and a few other details like: that the shot to the forehead came from a British gun; there were British agents closely tied to the conspirators at the time; and the British had significant political reasons for wanting Rasputin dead, it has been suggested by some that the assignation was planned and executed at the behest of the British (for more on this read Michael Smith’s MI6: The Real James Bonds 1909-1939 or Richard Cullen’s Rasputin: The Role of Britain’s Secret Service in his Torture and Murder). However, whether this is just a pie in the sky conspiracy theory or not, isn’t really known. But perhaps it would explain the fact that the known conspirators couldn’t seem to get their stories straight, even though they were freely admitting their own guilt. The body was found three days later and an autopsy was subsequently performed. So what did the autopsy indicate? It isn’t today known exactly because the report was lost during Stalin’s rule. What is known, though, is that no trace of any poison was found in his stomach, though traces of alcohol were discovered. Further, aside from the bullet wounds and apparently haven been beaten, a small amount of water was found in his lungs. Once their scheme was discovered and they were placed under house arrest, it seems odd that the conspirators would make up that they had first tried to poison him before shooting, beating, and drowning him though. If it is assumed they did not make that part up, then it has been suggested that perhaps the cyanide vaporized while the cakes were being baked. The problem with this theory is that the Prince, along with Vladimir Purishkevich, stated that the cyanide was carefully sprinkled on the cakes, not baked in. Further, the cyanide was reportedly added to the wine at the last possible moment, to keep it from evaporating. Needless to say, whether he was actually poisoned or not is still a matter of debate. As stated, his body had, of course, been shot several times, and appeared to have been beaten (though whether it was in that order or not, isn’t known). He also did have a small amount of water in his lungs. So it is possible that the rumors that he survived being shot several times and beaten are true, though unlikely. It isn’t uncommon at all for some water to be in the lungs after a body has been left submersed in a river. Further, the shot to his forehead should have been instantly fatal, which also makes one wonder if he perhaps was beaten first, then shot, rather than the other way around like some of the conspirators stated. In any event, it is unlikely that he was actually alive when thrown into the river. What can be stated as fact, though, is that he did not die of hypothermia after supposedly breaking free of his bonds, as some have falsely stated *looks at Cracked.com* ;-). The trial that was to take place was canceled due to the conspirators being members of the aristocracy, so they were never officially convicted. Instead, they were simply exiled. Needless to say, this did not sit well with the peasants, who were already extremely unhappy with their monarch after disastrous military exploits that cost over 3.3 million Russian lives and resulted in nearly the entire destruction of the Russian naval fleet. Within three months of Rasputin’s death, the Tsar of Russia, Nicholas II (Nicholas Alexandrovixh Romanov), was forced to abdicate his throne and within a year, Nicholas II, his wife, his son, and his four daughters were murdered, along with the family’s chef and the Empress’ lady-in-waiting.